Steve Jobs was really unhygienic: he thought that by eating only fruit the need to shower was eliminated, so he stopped showering. When he worked for Atari, his boss assigned him the night shift so that he wouldn't need to interact with other people. 2. Apple got the idea of a desktop interface from Xerox. Later, Steve Jobs accused Gates of stealing from Apple. Gates said, "Well Steve, I think it's more like we both had this rich neighbor named Xerox and I broke into his house to steal the TV set and found out that you had already stolen it." 3. The microcontroller inside a MacBook charger is about as powerful as the original Macintosh computer. 4. A programmer named Ron Avitzur who was working at Apple, kept working on a project for 3 months after it was canceled, simply because he thought the work was interesting and wanted to finish. Apple employees helped his cause by sneaking him into the building, and the project (a graphing calculator) was successfully released. 5. In 2013, someone released an iPhone mobile game called “Send Me to Heaven”, which involved throwing your phone as high in the air as you can. The creator said he made it with the hope of destroying as many iPhones as possible, but Apple banned it from the App Store. 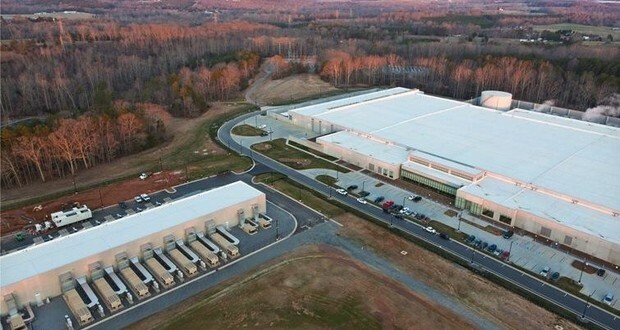 When Apple was buying land in North Carolina for their data center, a couple refused to let them buy their 1-acre plot of land. Apple continued to give offers and, after the couple rejected them all, they asked them to set their own price. Apple then ended up paying $1.7 million for one acre of land. 7. In 2015, Apple spent $236 to make an iPhone 6s Plus, which it sold for over three times that value at $749. The 64GB version of the phone only cost Apple about $17 more to make than a 16 GB iPhone, but Apple still charges iPhone buyers significantly more for the increased memory. 8. Steve Jobs wanted to hide a man wearing a fedora in the first Mac. Dubbed "Mr. Macintosh," the character would appear after opening the menu bar several thousand times then quickly disappear, leaving users to question their sanity. The idea was scrapped due to Mac's paltry 128KB of RAM. 9. An officially recommended solution to a common problem with the Apple 3 was to "lift the computer two inches and drop it." 10. Despite being a millionaire, Steve Jobs only paid $500 a month in child support to his daughter, Lisa Brennan Jobs, a girl he named a computer after but attempted to deny paternity for. Apple lost its rights to use the iPhone trademark in Brazil because a local company, Gradiente Eletronicas, had registered it back in 2000. 12. After Steve Jobs discovered a loophole that allowed a 6-month grace period before requiring a license plate on a leased car, Jobs would lease the same Mercedes-Benz SL55 AMG every 6 months in order to avoid having a plate. 13. In 1997, Apple released a special edition Mac (TAM) that was nearly $10,000. It would be delivered and installed by a man in a tuxedo. 14. If you are a child laborer for Apple or any of its suppliers, and you are found out, your education is paid along with wages while studying and a guaranteed job at the end of your education. 15. Most of Steve Jobs' wealth was from his shares in Disney, not Apple. When the first iPod prototype was shown to Steve Jobs, he dropped it in an aquarium and used the air bubbles to prove there was empty space and it could be made smaller. 17. In 2001, the price of the original iPod was $399, so expensive that people said iPod stood for "idiot's Price Our Devices." 18. When Steve Jobs was dying and in need of a liver transplant from someone with the same, rare blood type, Tim Cook got his blood tested, found out he was a match and offered part of his liver. Steve refused. 19. When Apple was going public and assigning shares, Steve Jobs cut out several employees. Steve Wozniak then gave some of his personal shares to them, because he believed it was the right thing to do. 20. When Apple began designating employee numbers, Steve Jobs was offended that Wozniak received #1 while he got #2. He believed he should be second to no one, so he took #0 instead. Steve Jobs frequented a restaurant in San Jose and often met its owner Abdul Fattah Jandali, who unknowingly to Jobs was his biological father. 22. Steve Jobs "eliminated all corporate philanthropy programs" at Apple when he became CEO and declined to join Bill Gates' "Giving Pledge." 23. The Apple logo has a bite taken out of it simply so that it would not be mistaken for a cherry. 24. Steve Jobs tried to donate a computer for every school in America. When the government did not collaborate he did it to the 10,000 schools in California.